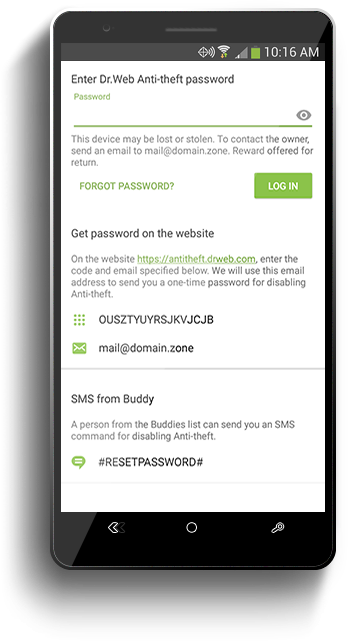 Helps you find your mobile device if it has been lost or stolen, and, if necessary, wipe confidential information from it remotely. 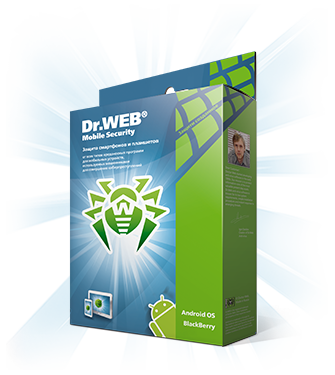 This feature is not available in Dr.Web for Android Light. Some component features won't work on SIM-less tablets. To use this feature, you must configure the Anti-theft. 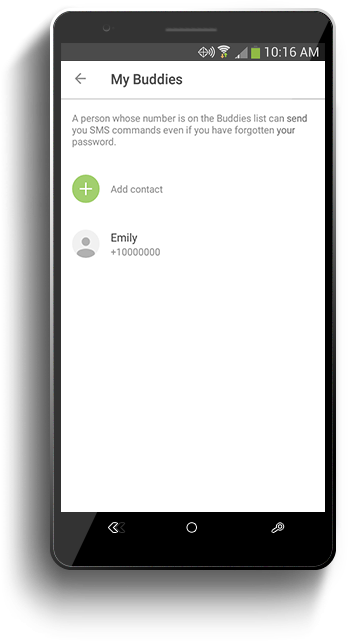 Send an SMS (the SMS command can be sent from a number on your Buddies List). Create a list of numbers belonging to people you trust. It is from these numbers that you can control the Anti-theft and unlock your device if you have forgotten the unlock password. 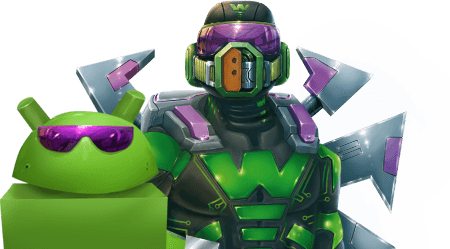 These people will be notified if the SIM card on your lost device has been changed. 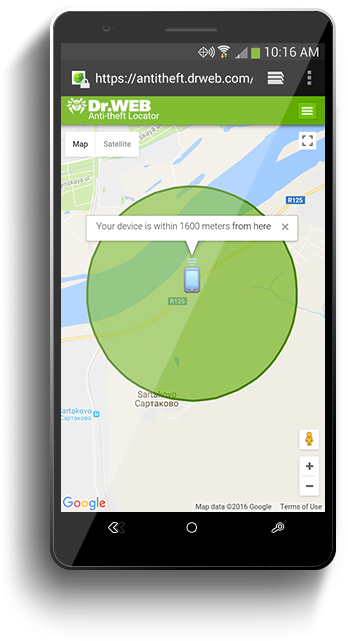 Dr.Web Anti-Theft will provide you with your device’s GPS coordinates by providing you with a link to Google Maps and showing your device on the map—if you forget where you’ve left your handheld or have lost it. 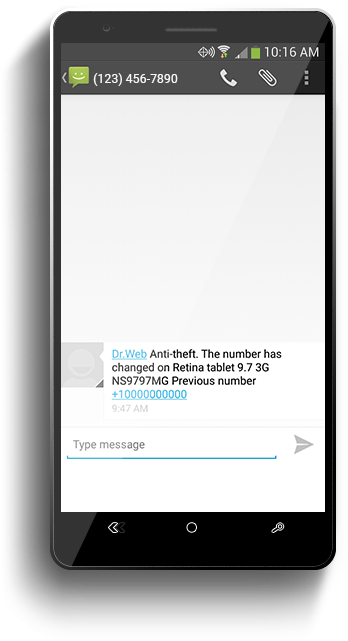 If the device is lost or stolen, you can remotely activate a loud audio playback on the missing device—the siren goes off once Dr.Web Anti-theft triggers it and locks the screen. You can also specify what text you want the device's screen to display to anyone who happens to find it. 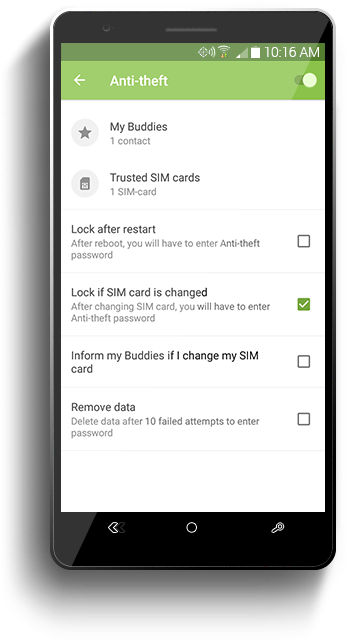 Erase the device's SD card remotely—if you are confident that the phone is lost for good; your confidential information won't fall into the hands of criminals. 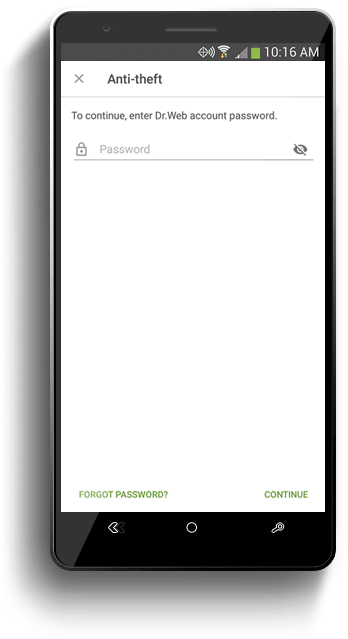 Access to the anti-theft settings can be password-protected to prevent unauthorised changes. 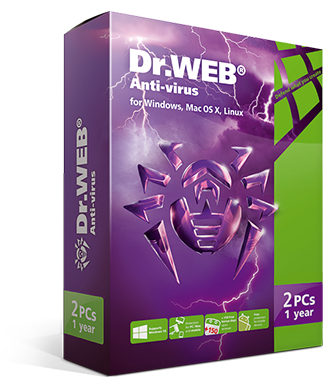 The device administrator sets the password when configuring the anti-virus account. 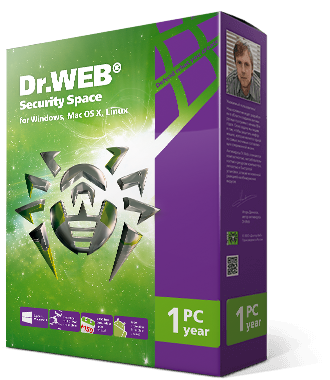 Do your friends also use Dr.Web Anti-theft? Save the memo for yourself as well—maybe your friends will need your help.